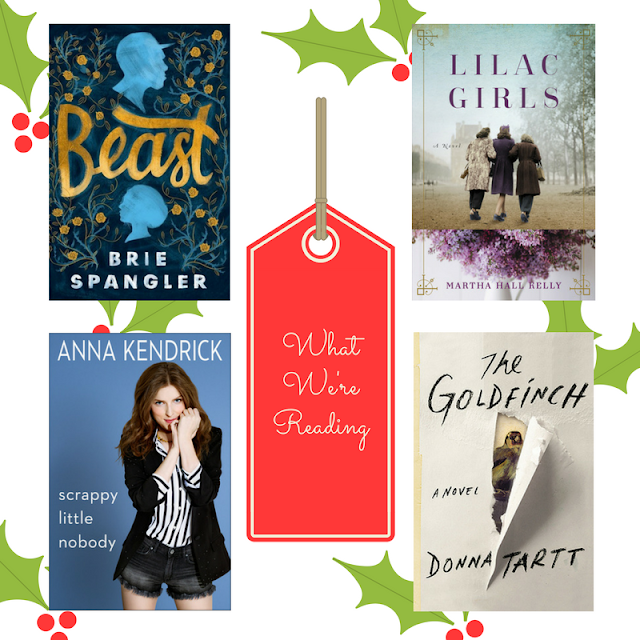 What We're Reading This Month: December 2016 | LADY. If you're looking for some great stocking stuffers for the reader in your life (or maybe just for yourself...) then look no further. Our December picks are varied enough for any taste, and we think you'll love these each of books as much as we do! Our Thoughts: A thought-provoking and entertaining love story that doesn't shy away from the ugly stuff. Inspired by the life of a real World War II heroine, this debut novel reveals a story of love, redemption, and secrets that were hidden for decades. Our Thoughts: A finely-detailed and powerful imagining of some of history's forgotten characters. Enter Anna’s world and follow her rise from “scrappy little nobody” to somebody who dazzles on the stage, the screen, and now the page—with an electric, singular voice, at once familiar and surprising, sharp and sweet, funny and serious (well, not that serious). Our Thoughts: As if we needed another reason to love Anna Kendrick. The Goldfinch combines vivid characters, mesmerizing language, and suspense, while plumbing with a philosopher's calm the deepest mysteries of love, identity, and art. It is an old-fashioned story of loss and obsession, survival and self-invention, and the ruthless machinations of fate. Our Thoughts: Everything you want and more from a novel. Take your time with this one.